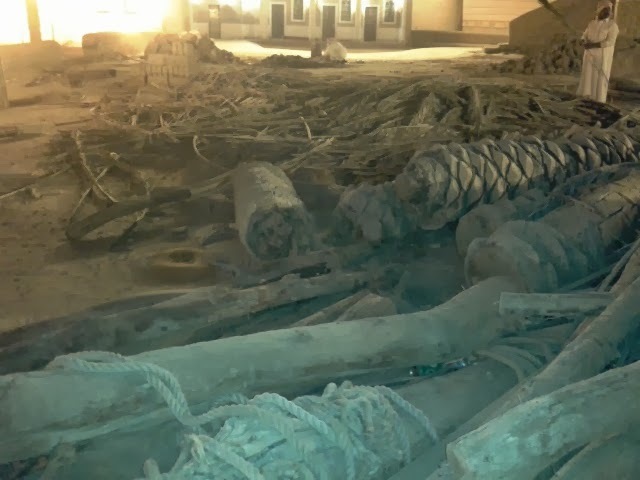 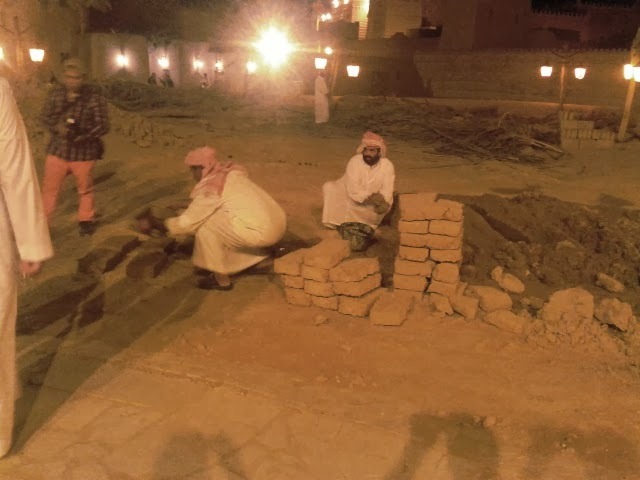 Please DO NOT, I repeat, DO NOT use the photographs here or share this post on social media as the site visited by me belongs to the Government of Saudi Arabia and we are under instructions NOT TO POST THE PHOTOS ON ANY SOCIAL WEBSITE. A general view of the open market inside "Riyadh Town"
The osteopath - the patient acted fantastically and screamed with "pain" as the care-giver ministered to him. 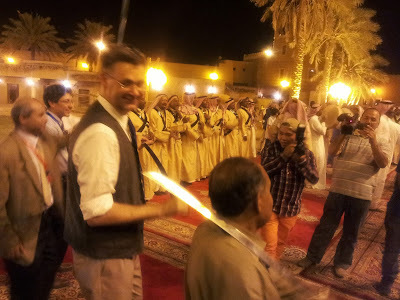 After watching the dance, which, frankly, was entertaining but had little music as such, we were all invited to an air-conditioned tent where we partook of a beautifully laid out dinner, ice swans and all! The dinner consisted of both, traditional items and modern stuff and was served by helpful Indian and other south-Asian personnel. Eventually, we started back for the Conference suites at a little after 11.30 p.m. From the suites, I got a lift from a Sudanese chap who reached me to Mufaddal's house where I went to sleep before half past twleve. I was looking forward to the final day of the conference. 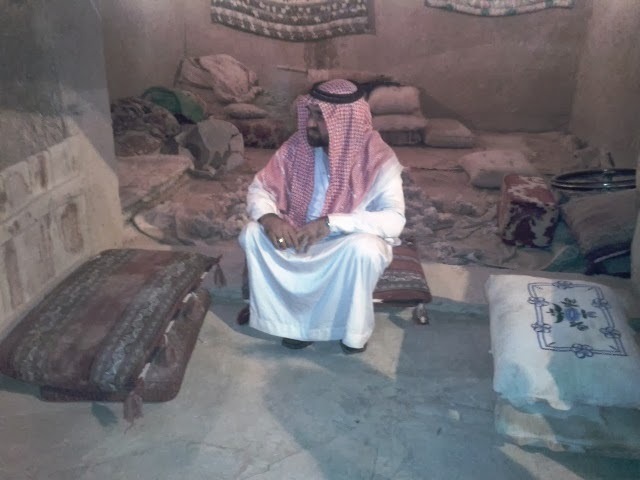 Thank you all for reading this post. Do comment. 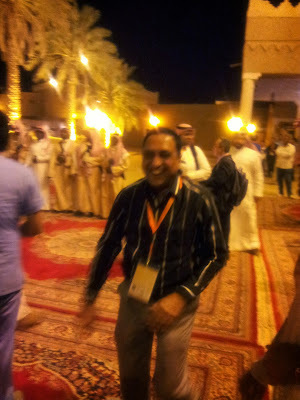 In my previous post, you got a glimpse of the excellence that represented the organisation of the conference. 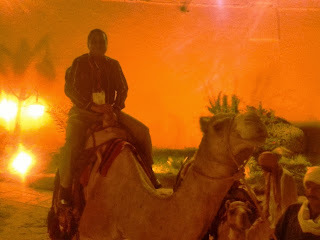 I still have to tell you about the car, but please wait while I talk to you about the evening program on day 2 of the conference - which, for me, was the first day of attendance. 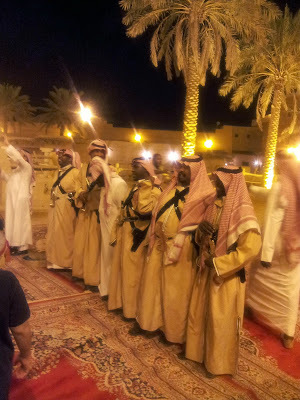 They took all of us by a specially hired SAPTCO bus (the public bus service of the kingdom) to a place that was a long way off. We drove past busy city areas, reaching the more secluded airport area, and then went past that and drove for another forty-five minutes at a "convoy" speed, led by police cars and followed by many official and other cars. 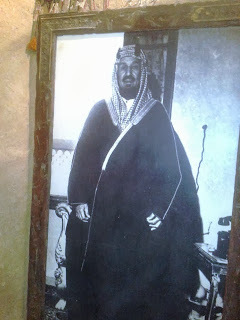 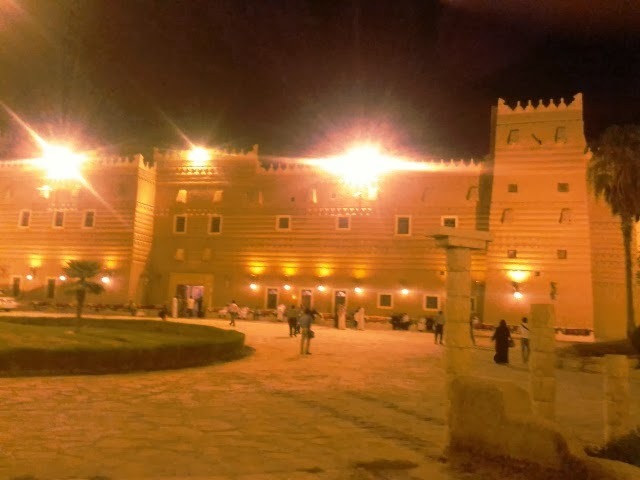 Finally, we reached the end of our journey at a place where one of the princes of the King has created a complete real-size replica of the original palace of King Abdul Aziz bin Saud. 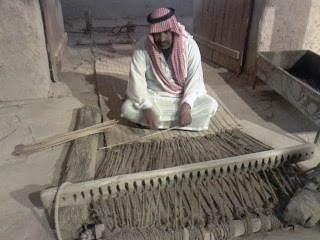 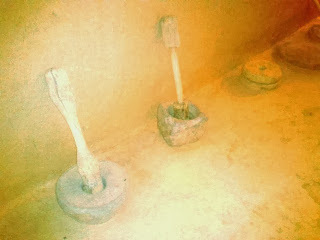 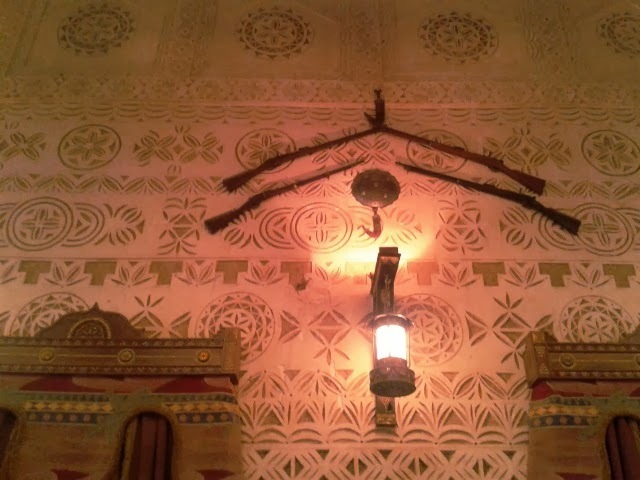 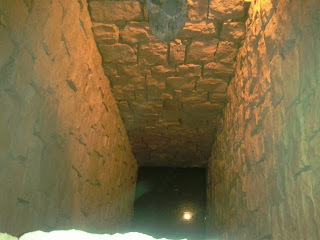 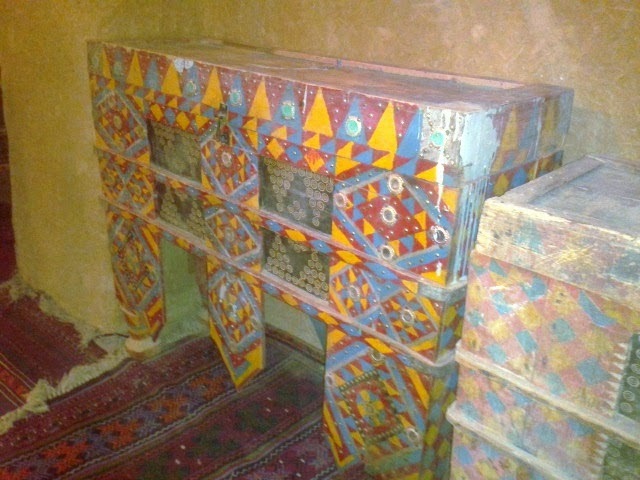 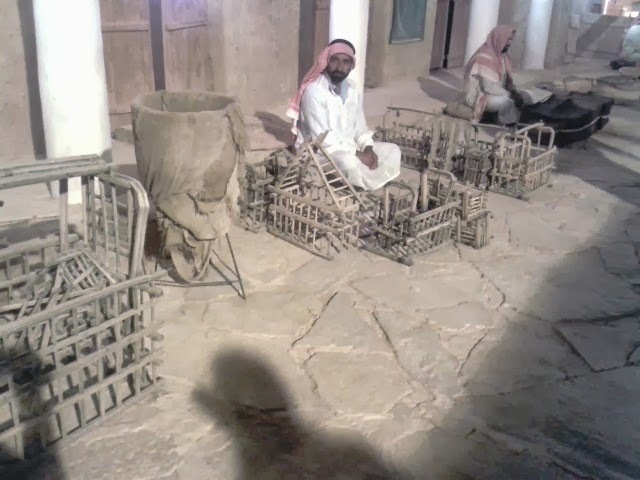 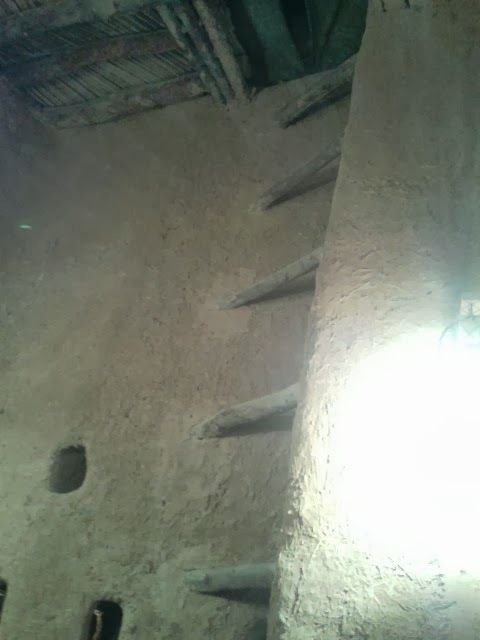 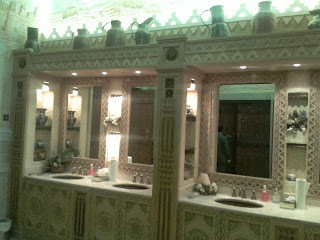 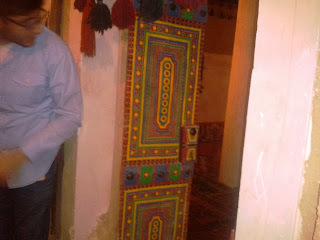 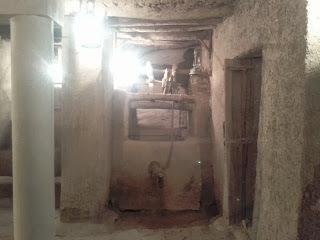 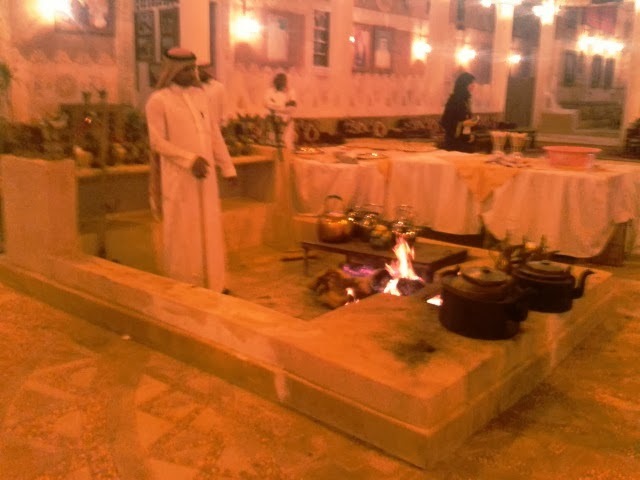 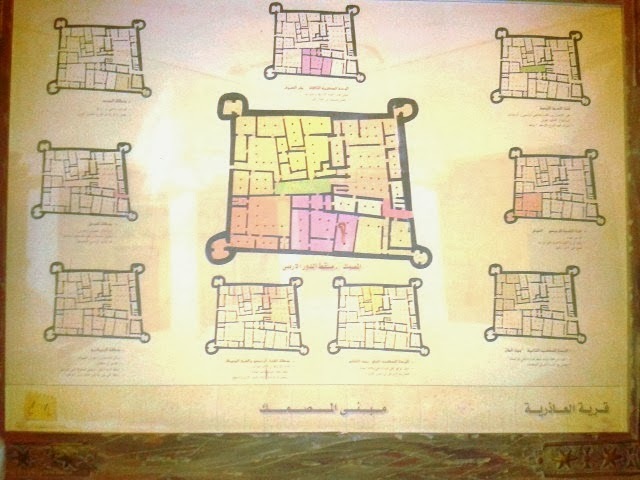 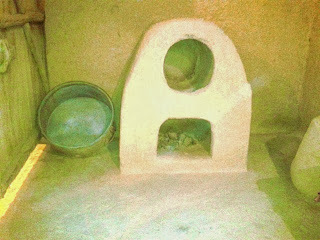 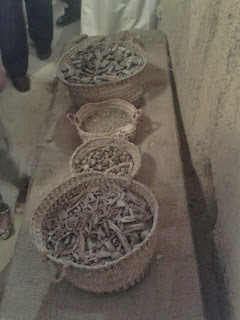 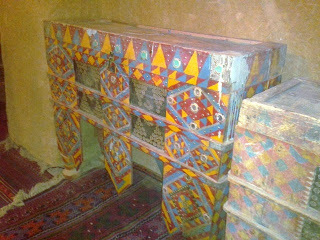 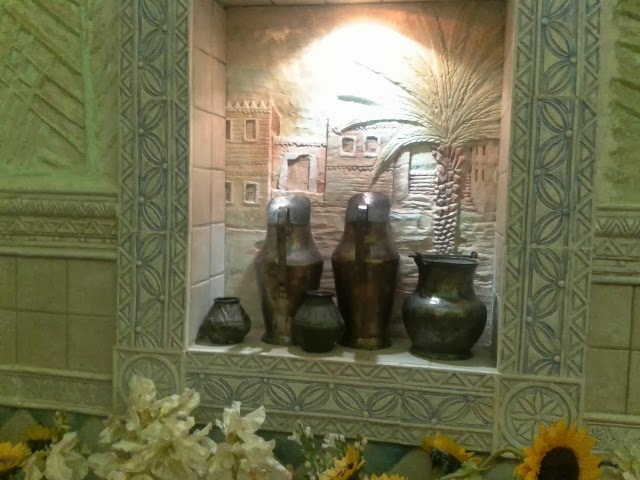 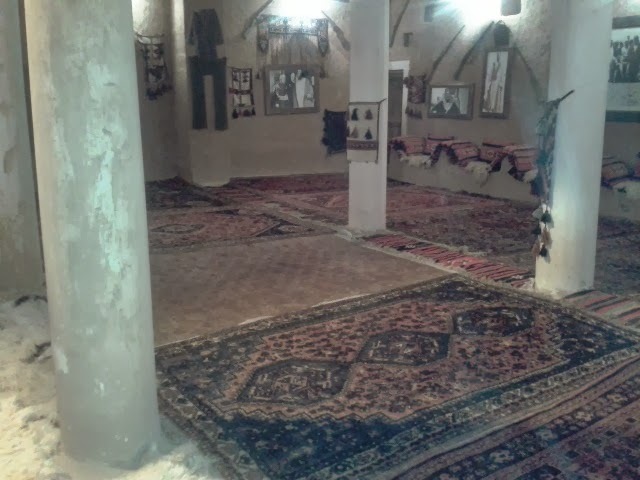 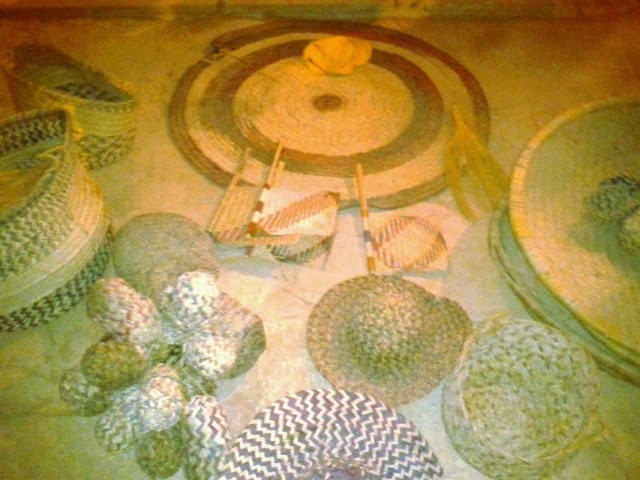 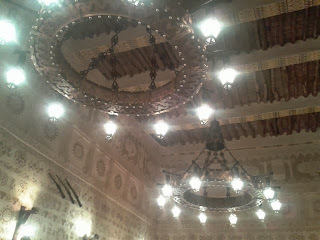 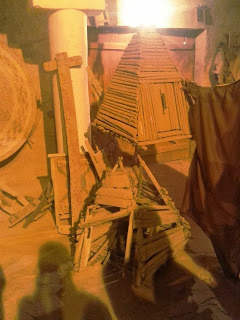 The replica is made with original constructing material, which is a mix of mud and some kind of lime, and spans over many rooms, alcoves, the royal kitchen, the sleeping rooms, the armoury, the towers, the school (which, incidentally, was the first school started in KSA), and several other utility areas. 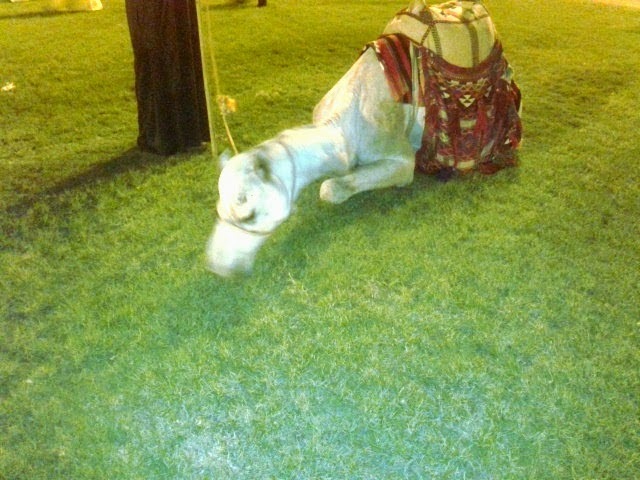 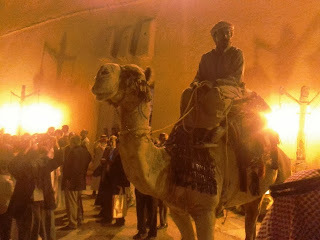 We were greeted by decorated camels mounted by professional camel riders. 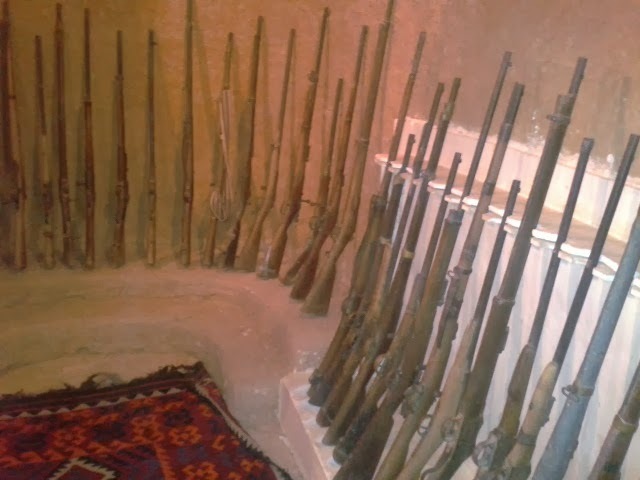 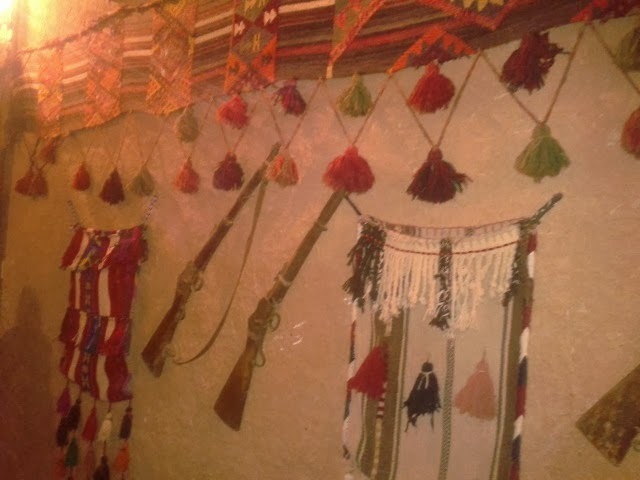 Then, we walked through an entrance lobby adorned with old clothes, ancient muskets and rifles, ceremonial clothes and many decorative items to reach a huge "hall" with many pillows and seats set against all the walls. 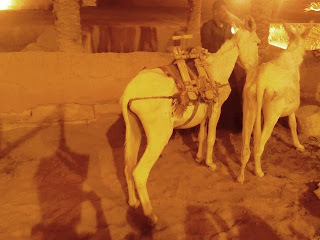 Here, they served us a glass of juice. 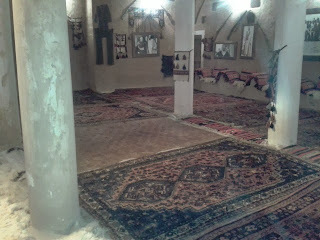 There were many rooms leading off this central hall, and there were guides who took us on a tour through the entire structure. 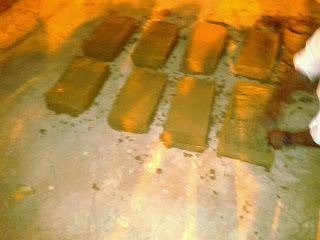 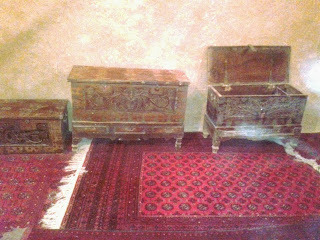 I don't know, but they look like treasure boxes! 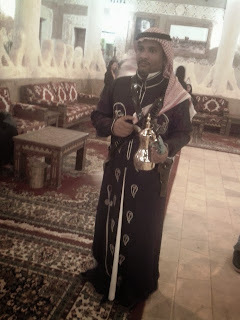 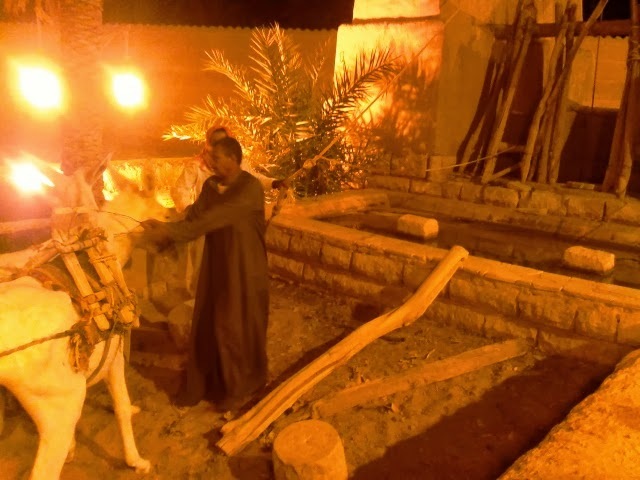 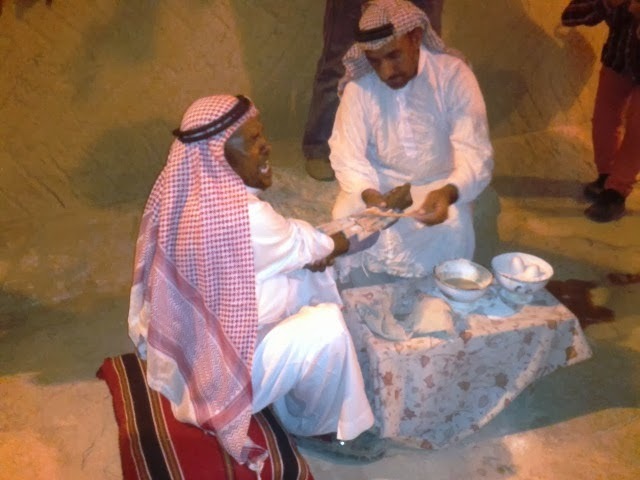 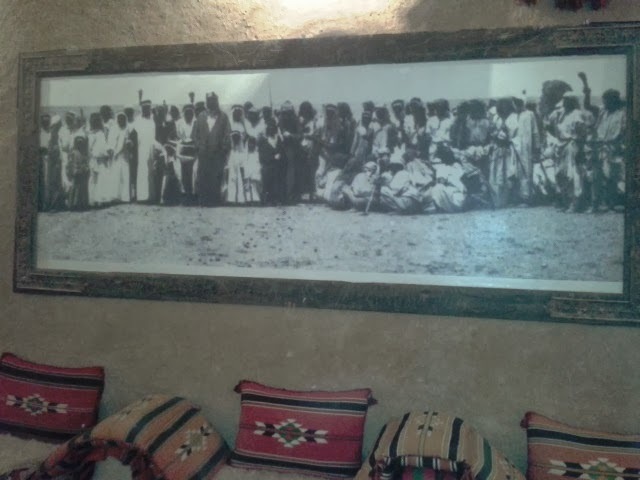 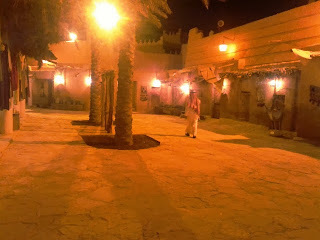 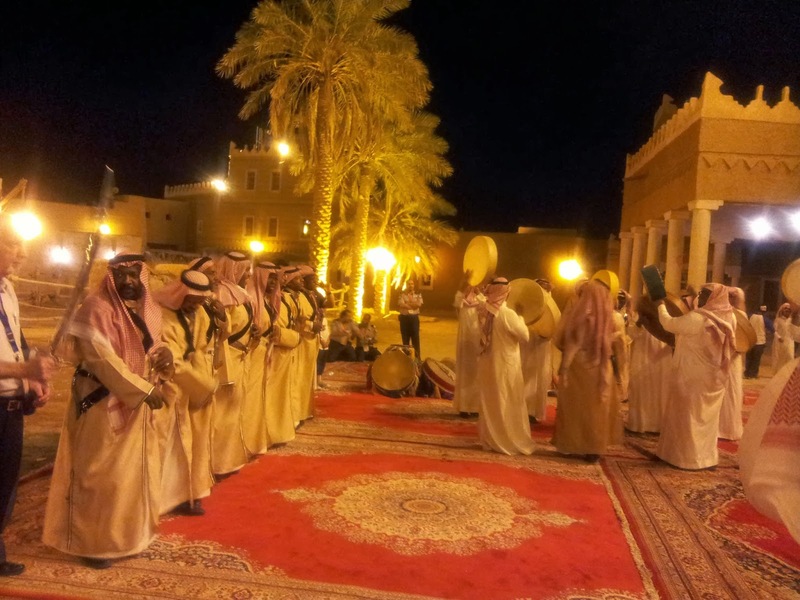 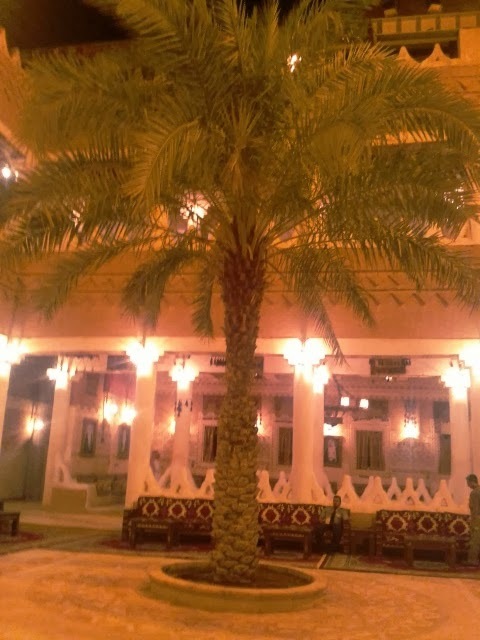 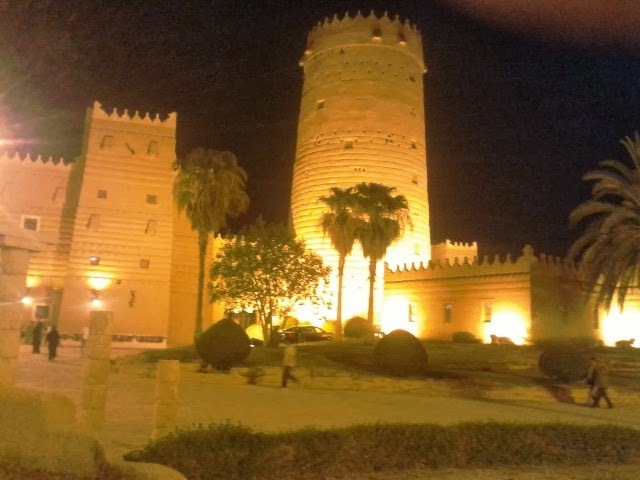 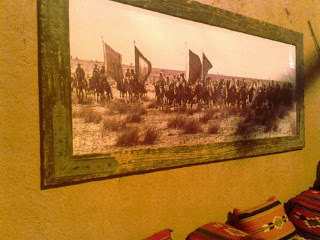 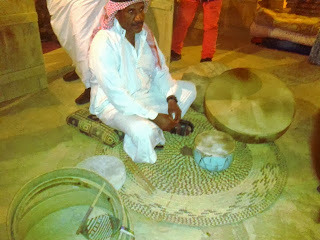 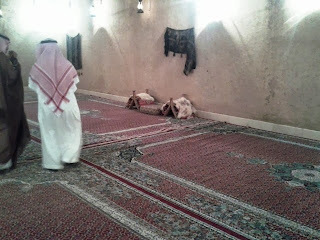 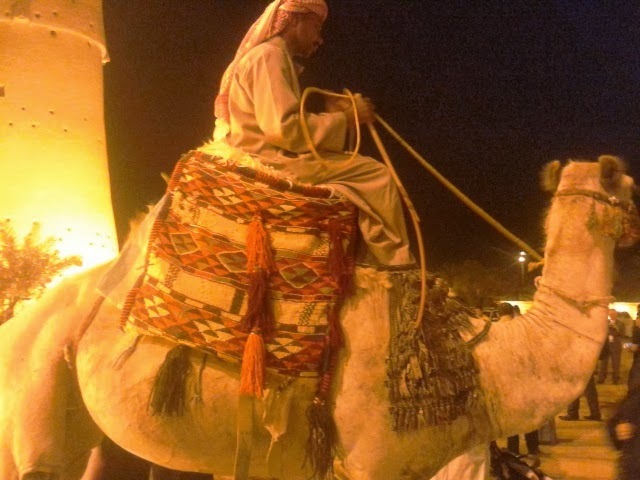 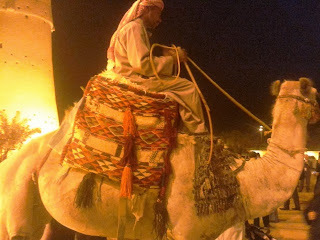 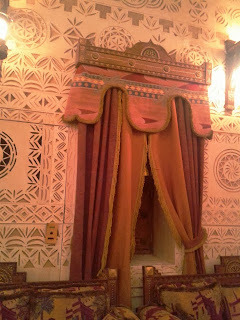 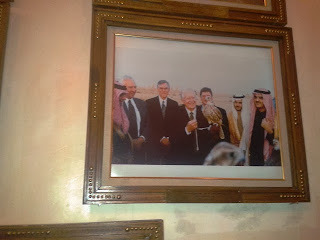 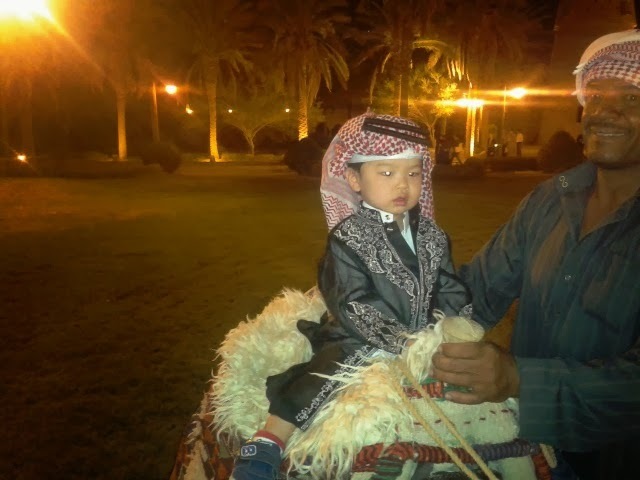 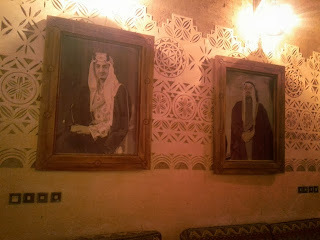 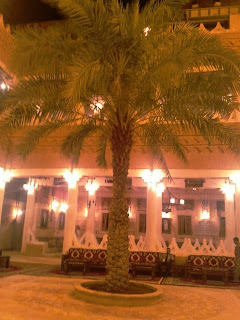 We visited the various rooms, and then, we were escorted outside, where a few among us got to ride the camels to go to the next entertainment area where we would be served the traditional Arabian coffee (known as the qahwa) and then be escorted through a replica of the old town of Riyadh. 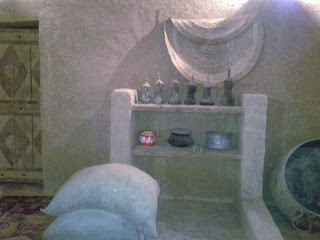 But, more of this in my next post.